Abu Dhabi is the capital of the United Arab Emirates (UAE), 1h 30min drive from Dubai. I spent one full day there, vising the stunning Mosque and having so much fun at the Ferrari World. In this post you can find an interesting day trip plan. My friend and I got picked up by our driver at 9:30 am from Princess Tower (Marina), and the ride to get to Abu Dhabi took approximately 1h 30min. You can ask any taxi driver for a day trip and negotiate the price, which depends on how many hours you will spend there and if you need to get back to Dubai. In our case, we spent 600 AED and the driver stayed with us all day, going back to Dubai at midnight and bringing us to every places we wanted to visit. Hence, I believe 600 AED was a fair price. 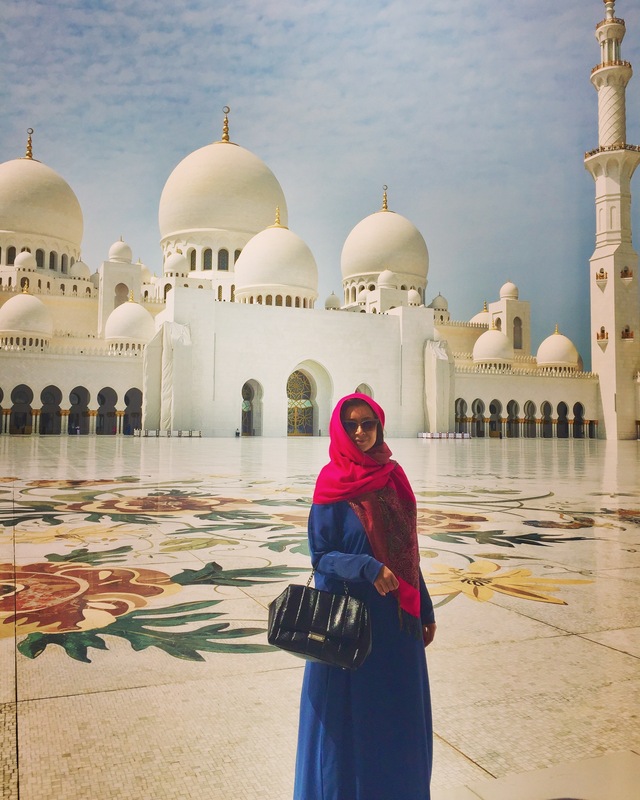 As soon as we arrived in Abu Dhabi, we went immediately to the magnificent Sheikh Zayed Mosque, which is definitely the most symbolic attraction in the city. Every woman needs to be fully covered to get in, from head to toes. If you do not have appropriate clothes they will provide you at the entrance a blue or brown Abaya, the traditional robe for Muslim women. 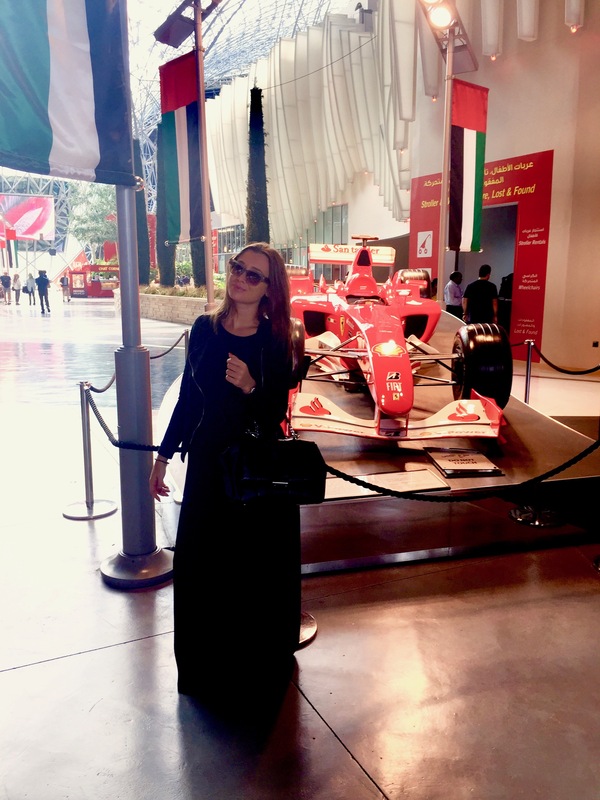 After visiting one of the most beautiful mosques in the world, we headed to Yas Island to visit the Ferrari World: an immense theme park that has the record for the largest space frame structure ever built! We really had so much fun, you can’t miss it if you are in Abu Dhabi! It is open from 11 am till 8 pm and it costs around 70 Euros (280 AED). My friend and I were really thrilled when we got inside. 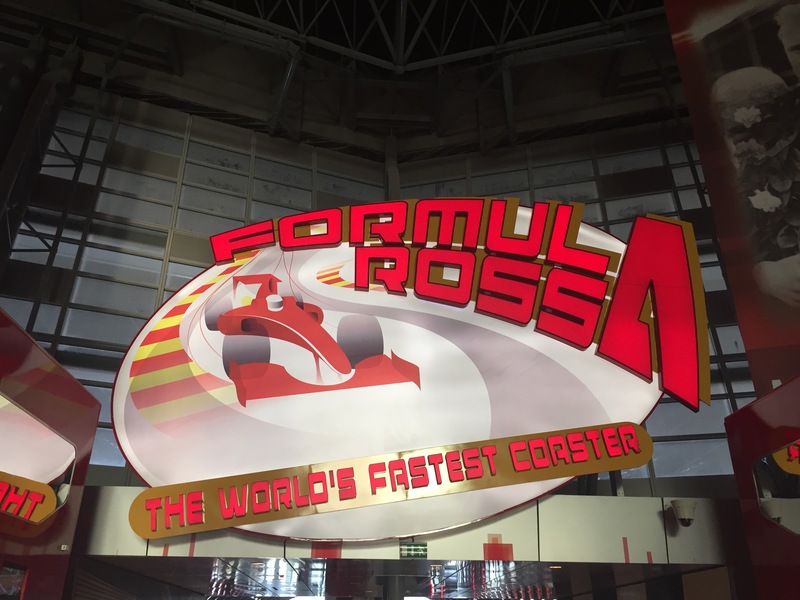 This theme park is actually huge and inside you can find “Formula Rossa” – the fastest roller coaster in the world. It was beyond fast, I could not believe it! Inside you can find several Italian restaurants where the food is good, especially pizza! 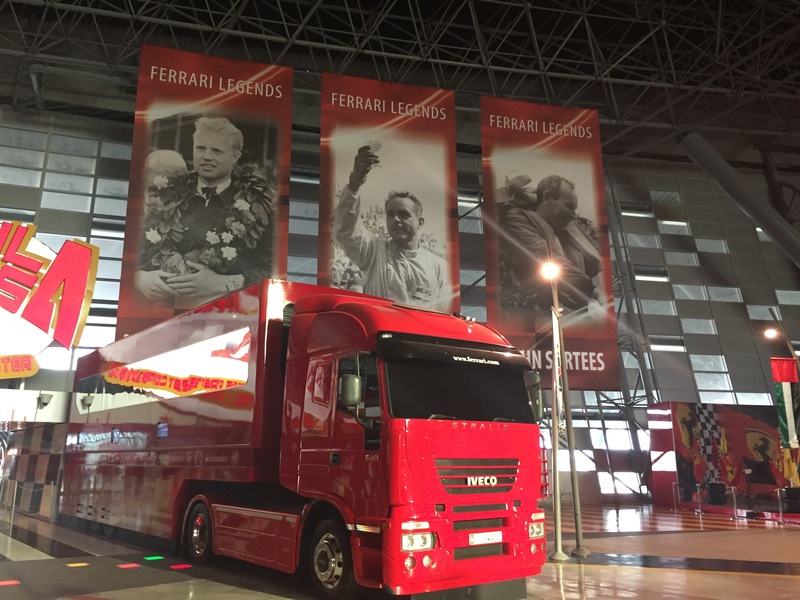 You can see many Ferrari cars all over, with some historical explanation about the Italian brand. There are several shows you can watch and 3 super fast Ferrari-roller-coasters. There is also one 3D roller coaster! It is great for kids but also for adults: I promise you it is fantastic! Walking out the theme park, we got into a big mall, then we found our driver and we went to the Y Bar at Yas Island Rotana Hotel to have some drinks with other friends, it was very lovely! Hope you will have a fun day-trip to Abu Dhabi as well!